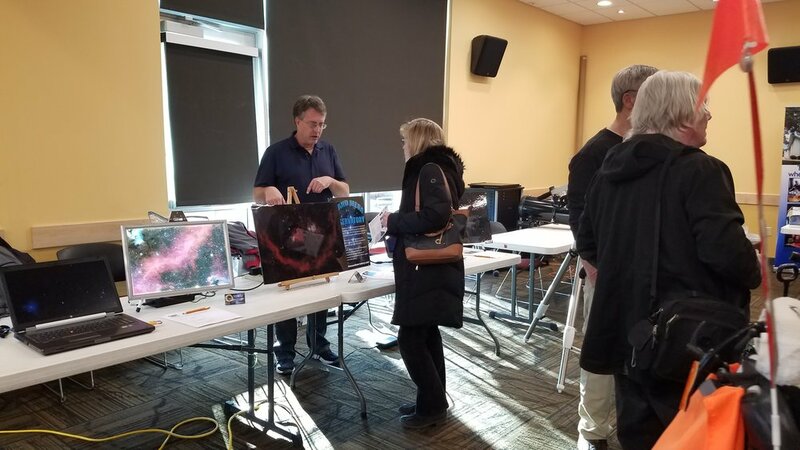 On January 22, 2019, Grand Mesa Observatory set up a display table as part of the annual Tech Expo held at the main branch of the Mesa County Library. This was the second year that GMO was invited to participate in the event which features local technologies. As with the year before, GMO set up a table alongside the table of the Western Colorado Astronomy Club. A number of astrophotos taken at the observatory along with a rotating slide show about the observatory and the work that is done here were featured in the display. Many interested members of the public stopped by to chat with Terry, Isaac, Nancy and Don from GMO to learn about us. They were invited to attend planned public night sky viewing events. Some are interested in becoming volunteers or in learning astrophotography. But - all were impressed by the astronomy education that GMO provides to the people of the Western Slope and by the astonishing photos of space objects that are taken here. 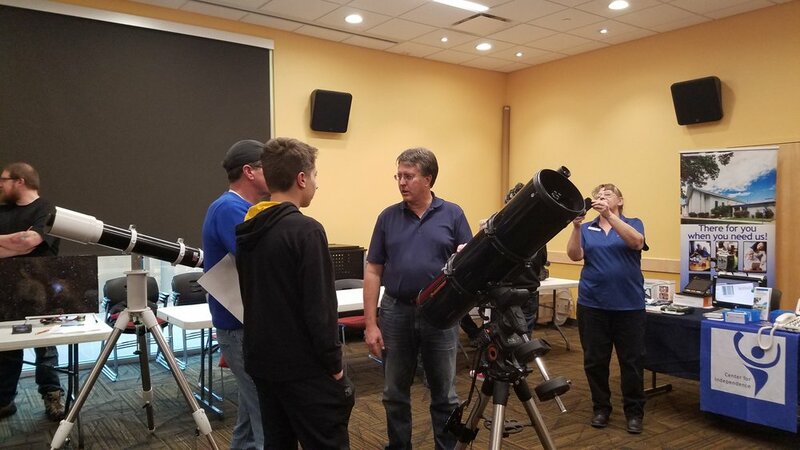 Newer PostGalaxies, Star Clusters and Nebulae Fill the Hall at Mesa County Main Branch Library! Older PostA Strong Start to 2019!